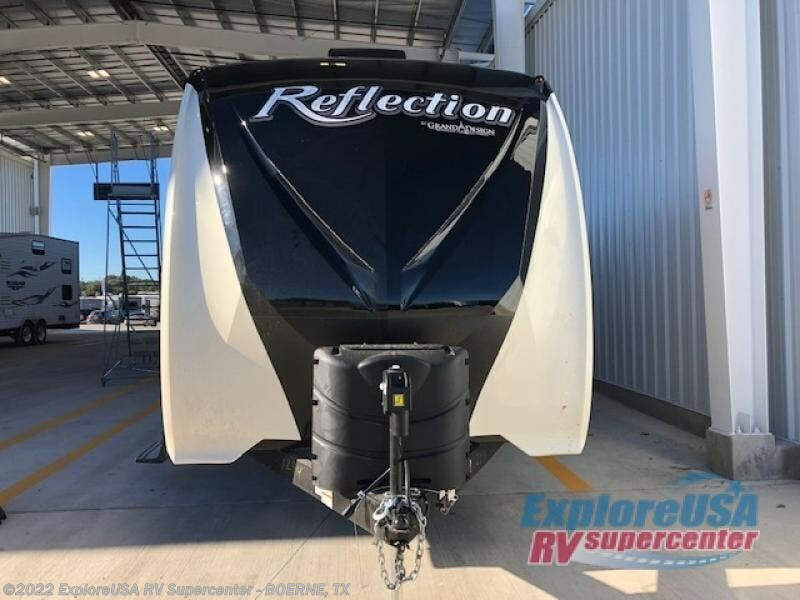 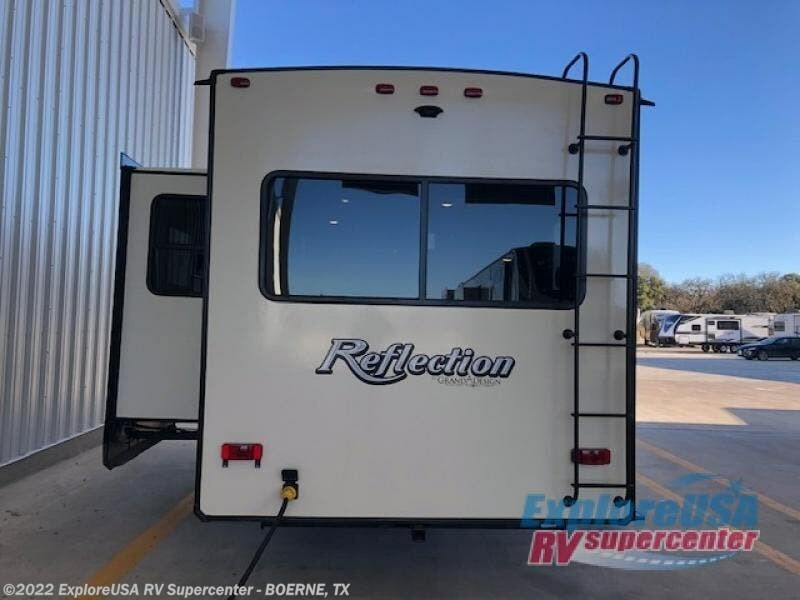 You can expect a great camping weekend or week long trip with this Refection travel trailer in tow. 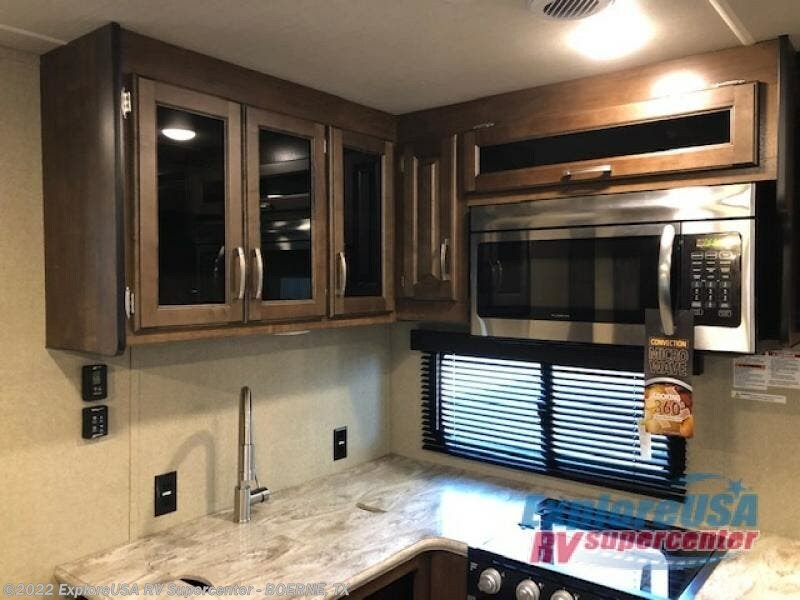 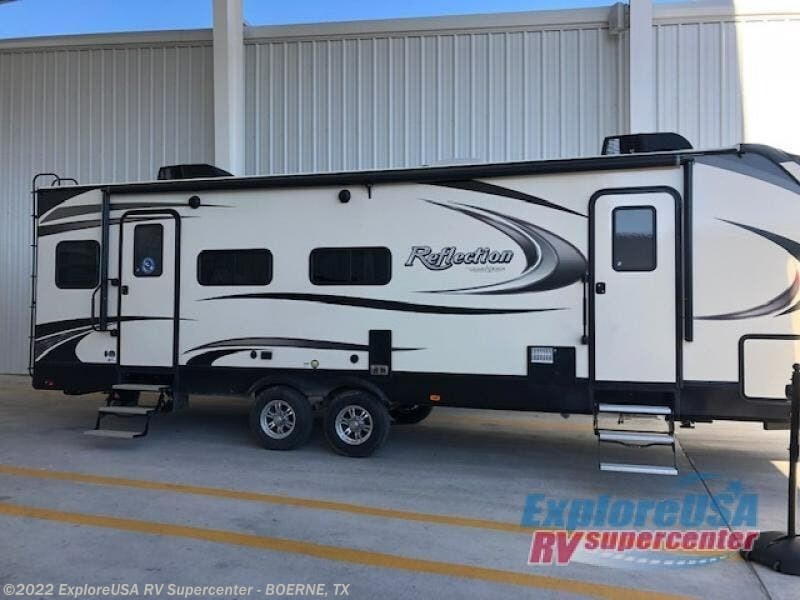 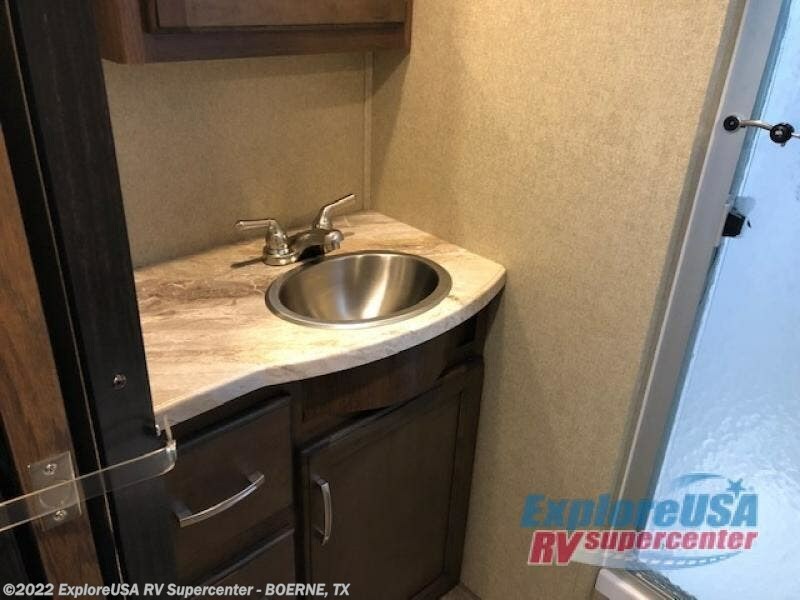 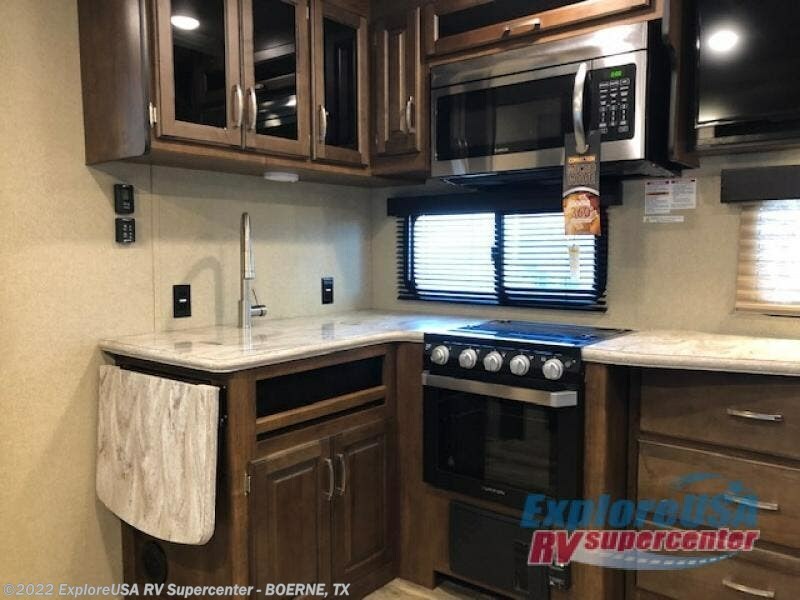 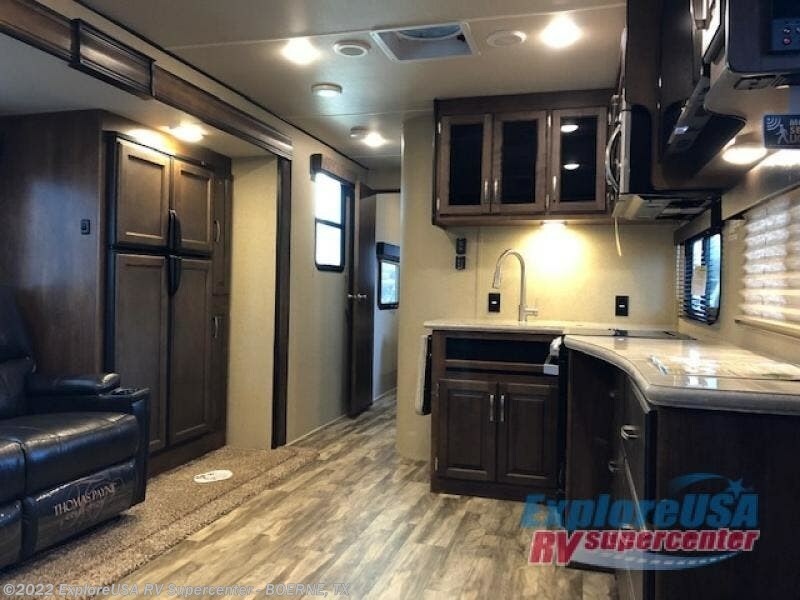 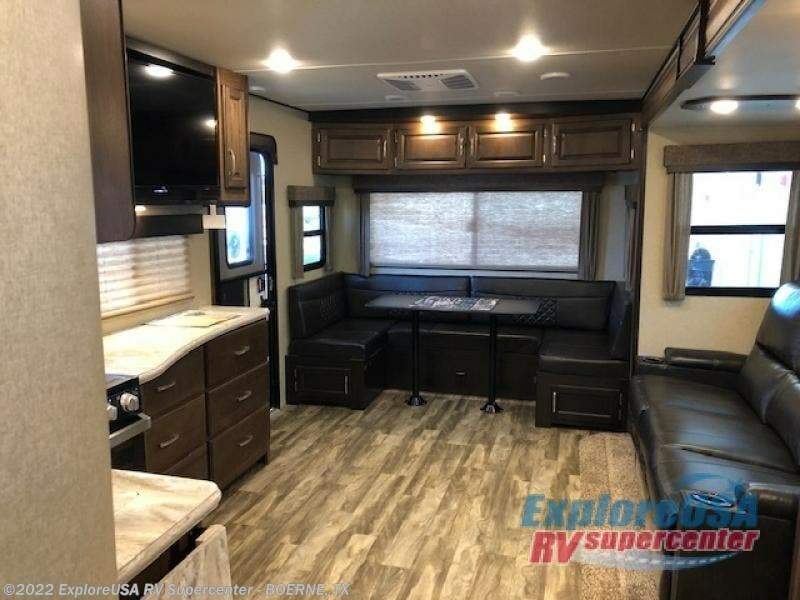 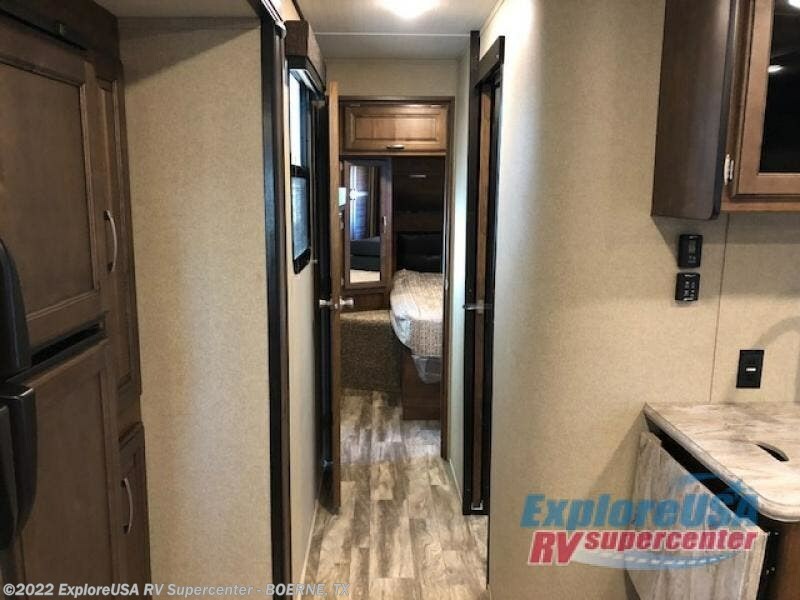 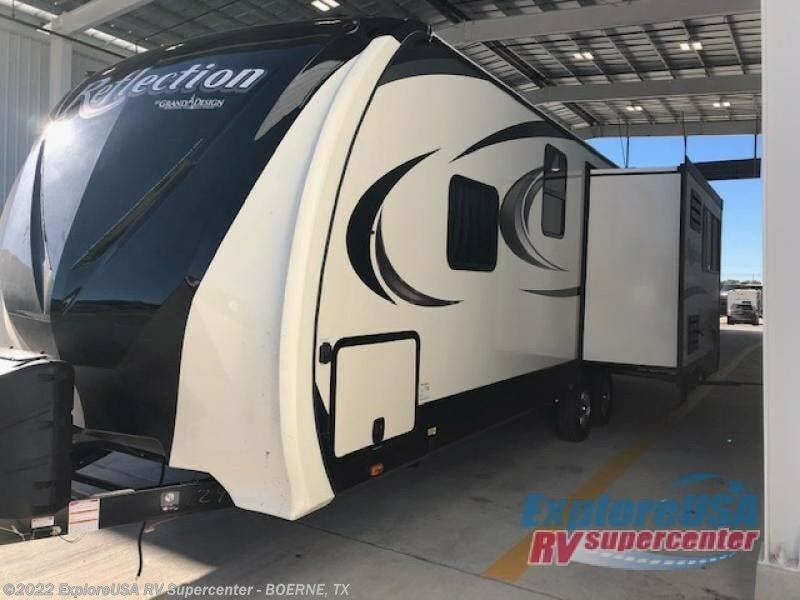 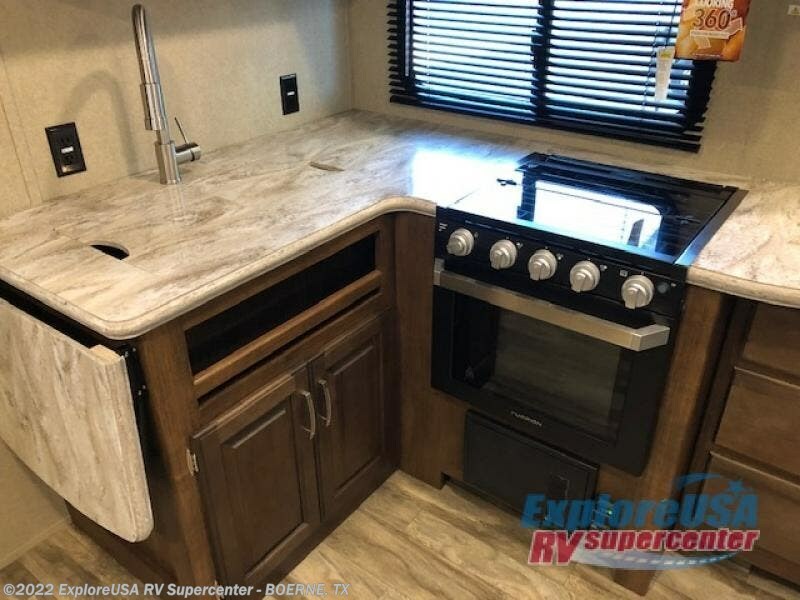 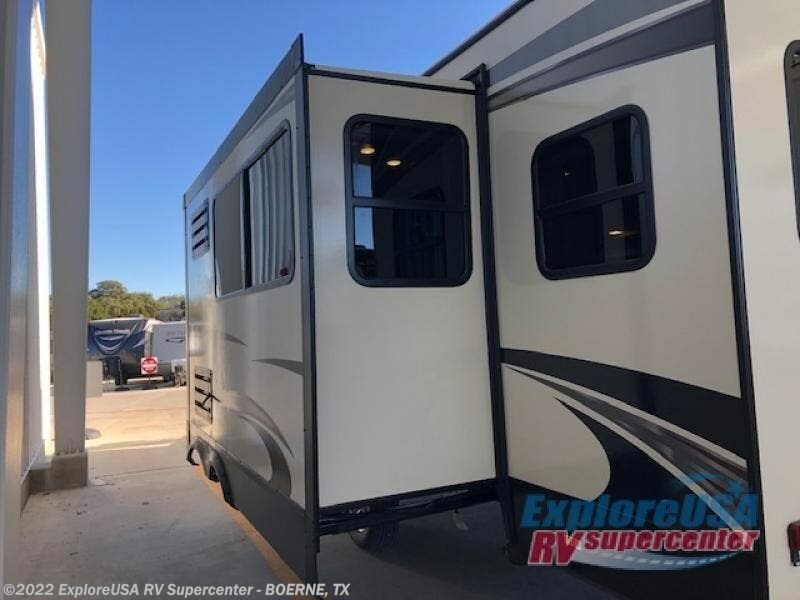 This unit is perfect for any couple seeking outdoor adventure that is also looking to enjoy a bit of at-home comfort as well. 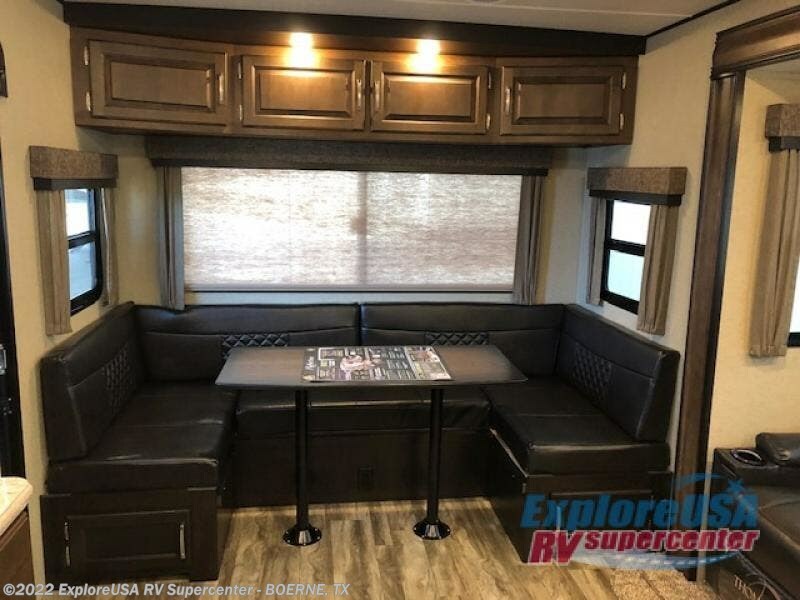 Step inside and notice how the outdoors makes its way inside through large panoramic windows surrounding the rear u-shaped dinette and above the slide out that contains a theatre seat and your 12 cu. 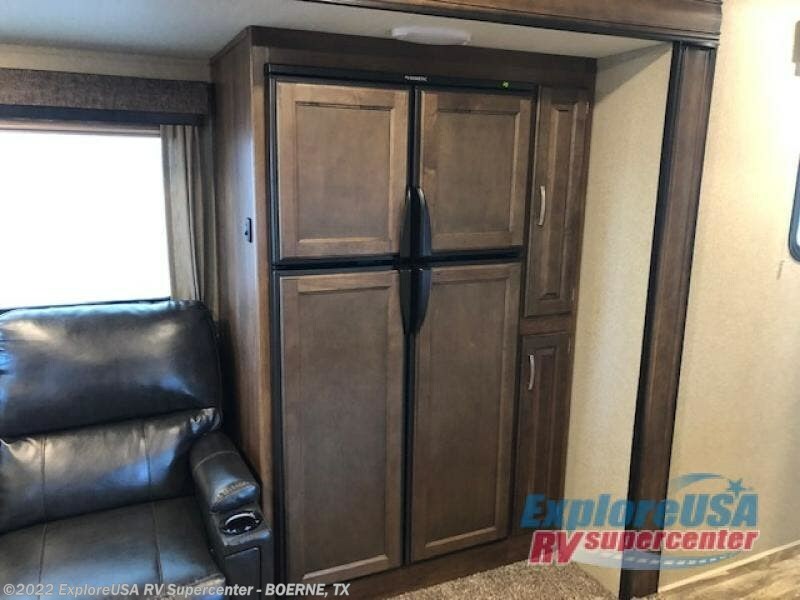 ft. refrigerator and pantry. 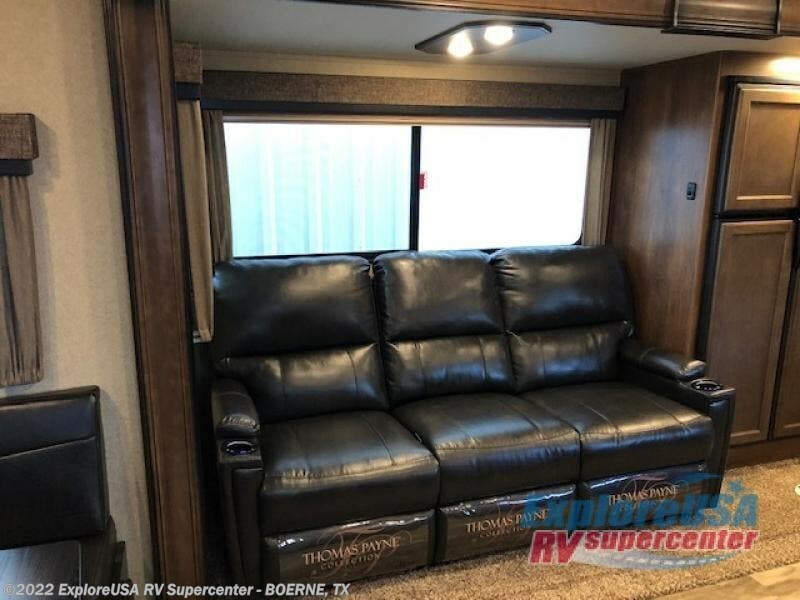 The 78" theatre seat has room for three so you can invite your camp neighbors over and have plenty of seating to enjoy the 40" LED swing arm TV opposite. 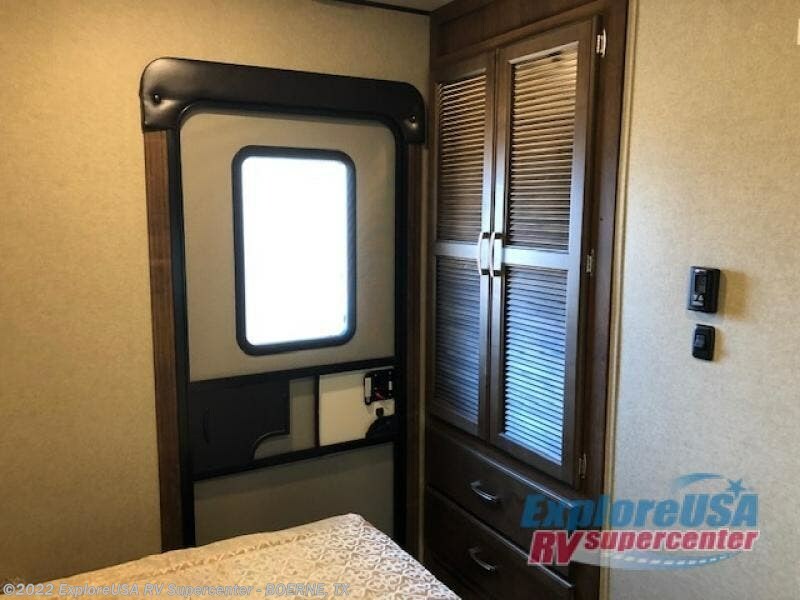 At night, a queen pillowtop mattress will be a welcome retreat for a great night's rest. 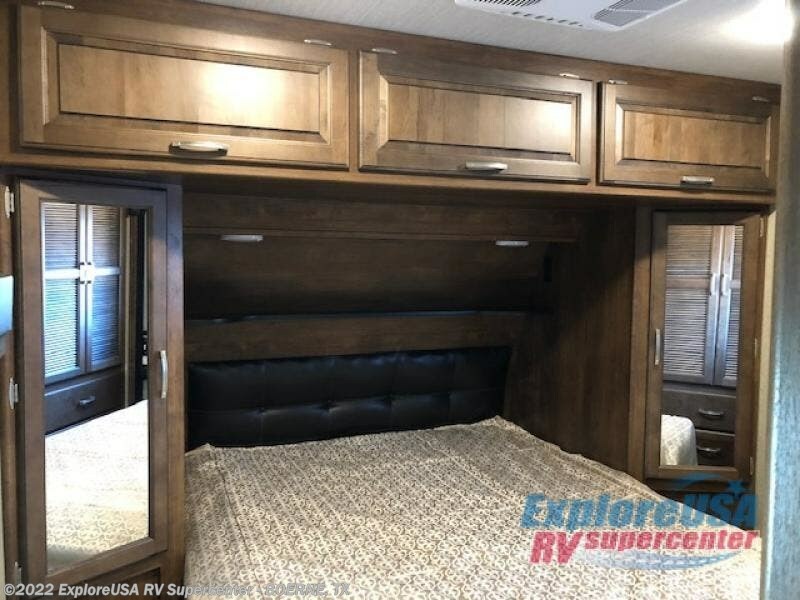 You will find plenty of storage for your clothing and things with bedside shirt closets, a king size wardrobe with storage drawers, and more space for the clothing you hang. 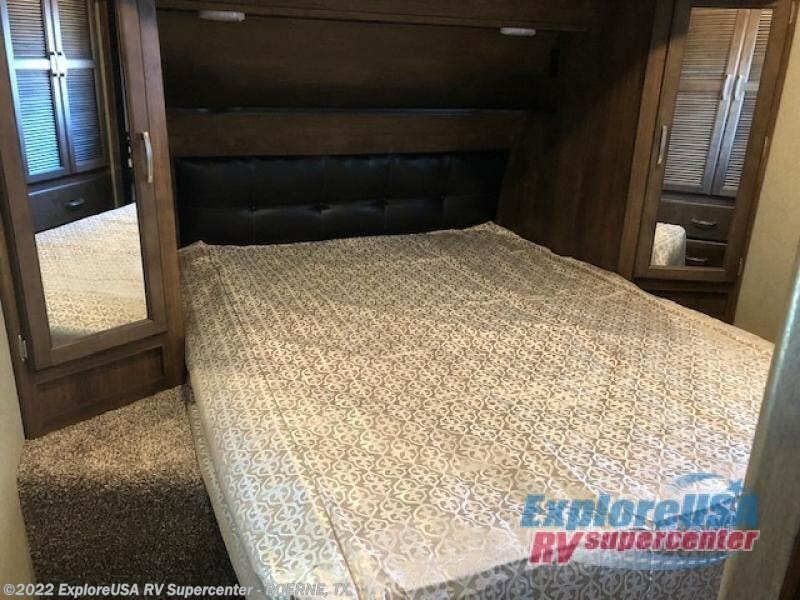 The underbed storage is also nice for larger items you wish to keep inside. 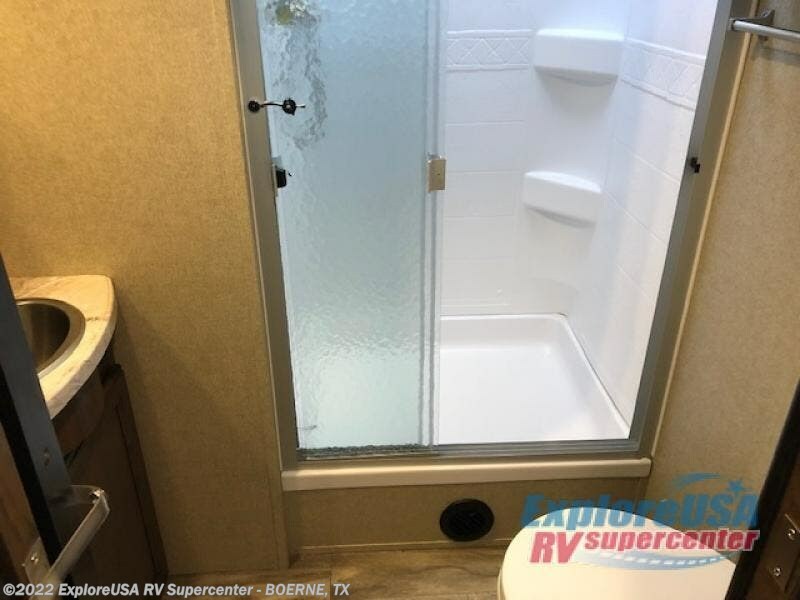 When you wake each morning the full bath nearby will welcome you with a glimpse of the day ahead through the large shower skylight. 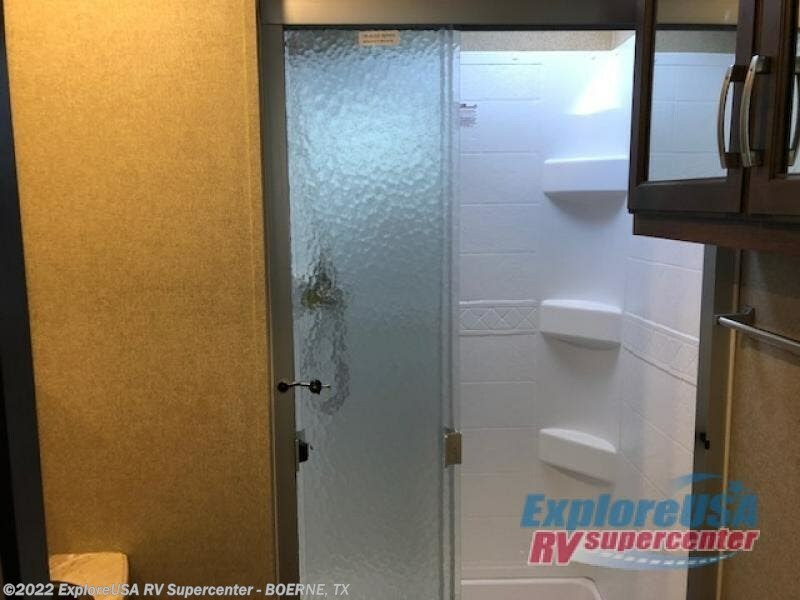 And, when you are ready for your next adventure, head out through one of the two entry/exit doors. 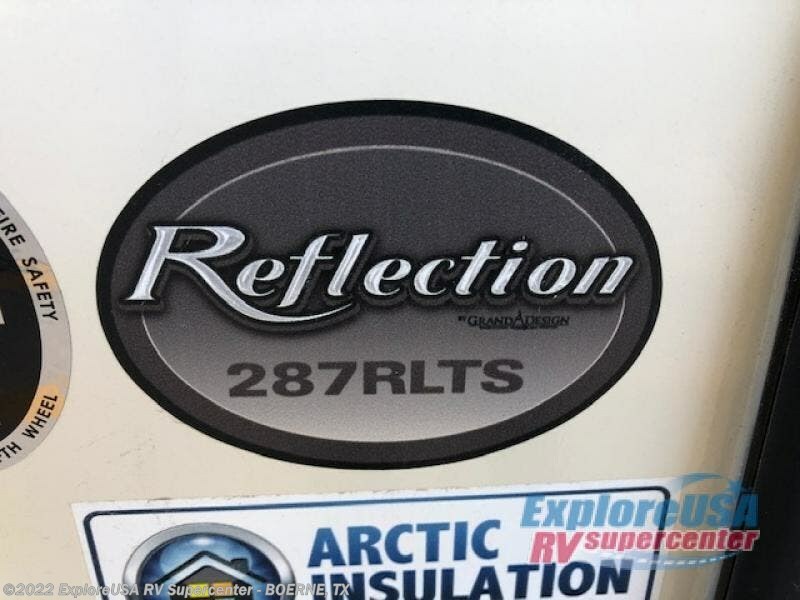 Check out Stock # B3183 - 2019 Grand Design Reflection 287RLTS on granddesignsource.com!